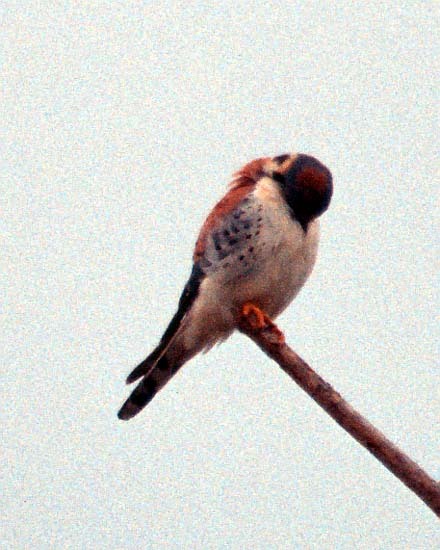 There had been speculation that this bird is of the Cuban/Bahamian race of American Kestrel due to the relatively unmarked underparts. However, it is likely merely a relatively white example of the Florida subspecies, Falco sparverius paulus. There are 4 photos in all.